A beautiful lady. I’ve always felt my Mom resembles the actress and playwright, Isabella Rossellini. It used to drive me crazy as a teen. Mom would set aside her paint brush, focus her dark eyes upon mine and shrug. Brush strokes filled a canvas. Think for yourself. Three words that held power. Wielding clout to the choices I made. It was my responsibility to stand at the crossroad and choose the right path. Successes and failures were mine alone to shoulder. Mother insisted I decide my fate. There were moments in life when I begged her~ tell me, guide me, shield me, and help me. Anything, as I stood alone at the intersection called Life, and clutched an empty suitcase. Her words, sage lyrics spoken from the heart of a beautiful, brave woman. 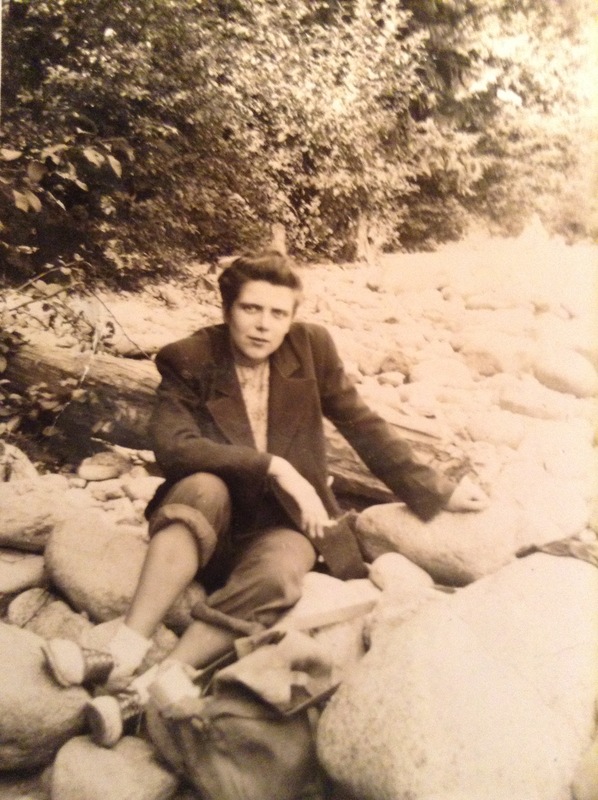 A lady who learned late the skill set necessary to navigate through the unpredictable forests of life. She understood I was ill prepared, too fearful to fly. So she pushed me. When lost, my mother’s words take the helm and whisper, Think for yourself. I promise you, the answer is within. Automatically my compass resets. The Universe sets us down, gives us what we need to deal, in a lifetime. A talisman of courage when we cower, a nudge to stand tall when another breaks us down, the sparkle of beauty amidst ruins and light to shine through darkness. This Mother’s Day I honour you, Mom. I learned to fly. What a perfect description of what it is to be another. We can advise until we’re blue in the face, but experience is still the best teacher. Happy Mother’s Day. You are so lucky to have a mom like that. Mine was a good one too and I know that not everyone is as lucky as we are. Your mother sounds wonderful and wise Lynne – and yes, she really does look like Isabella Rossellini!